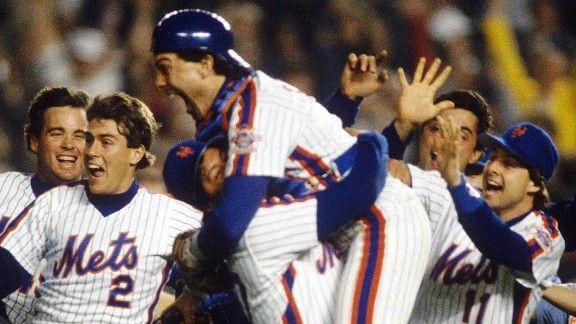 The 1986 World Series pitted the National League champion New York Mets against the American League champion Boston Red Sox. The Mets won the Series in the seventh game, after overcoming a nearly hopeless deficit in Game 6, culminating in a late-game error by Boston’s first baseman Bill Buckner. Game 6 was also cited in the legend of the “Curse of the Bambino” to explain the error.